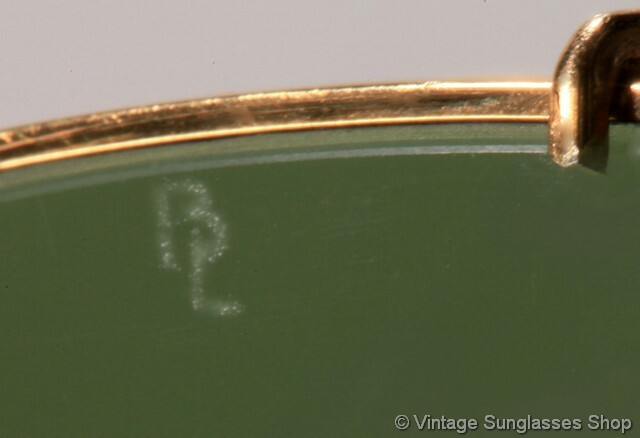 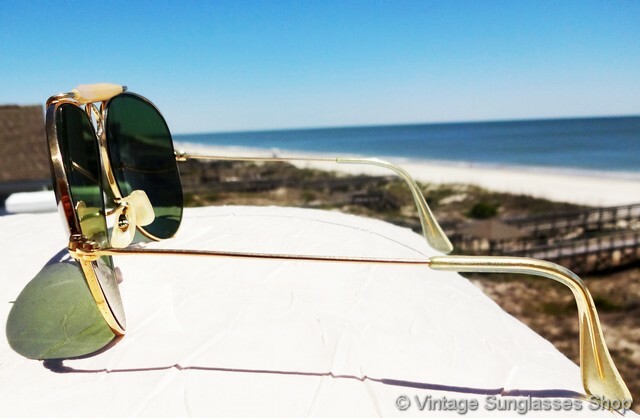 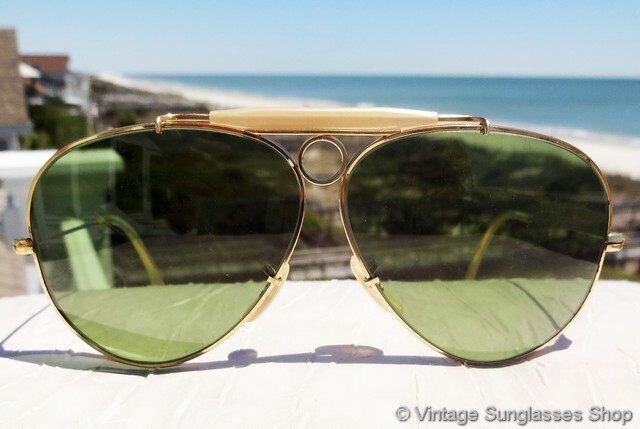 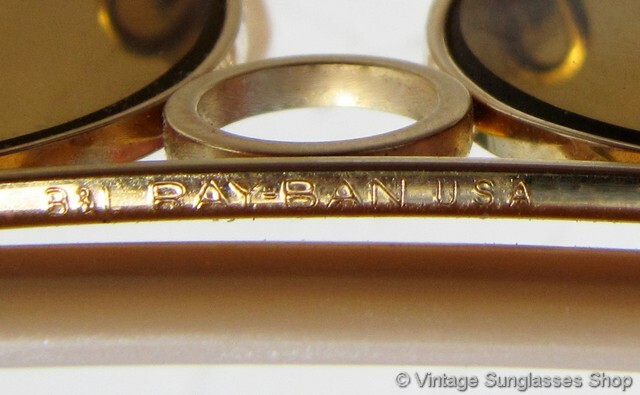 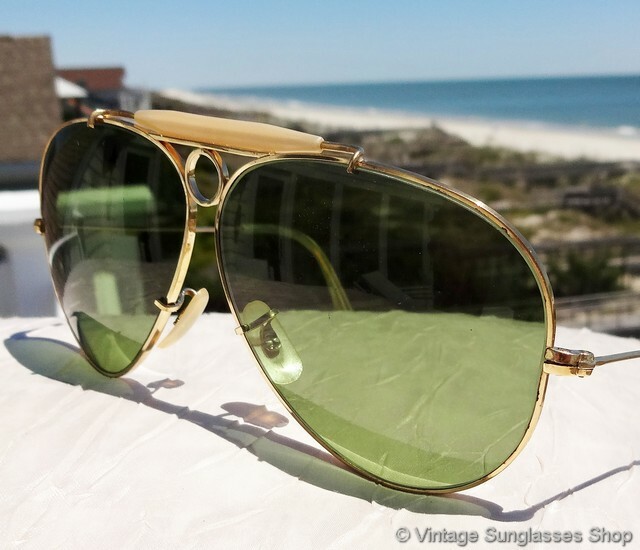 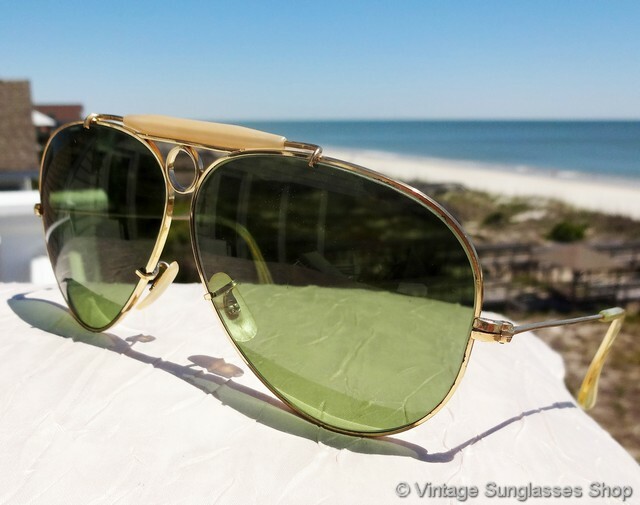 Vintage Ray-Ban bullet hole sunglasses were produced in only very small quantities, with regular paddle ear stems versus the far more prolific bullet hole shooters that wrap behind the ear. 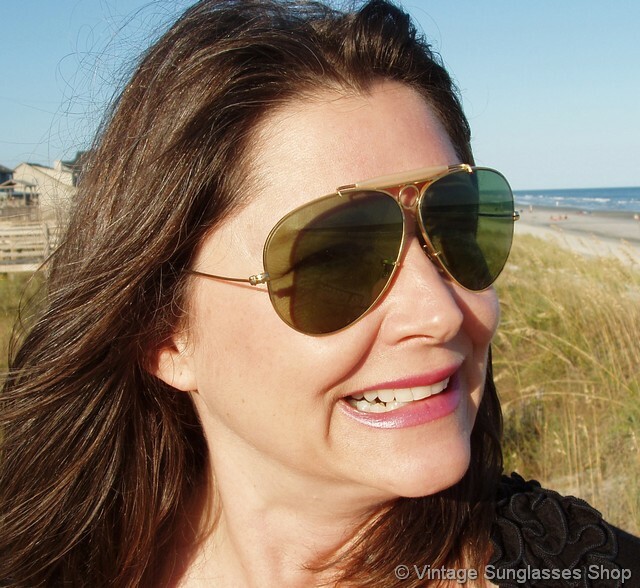 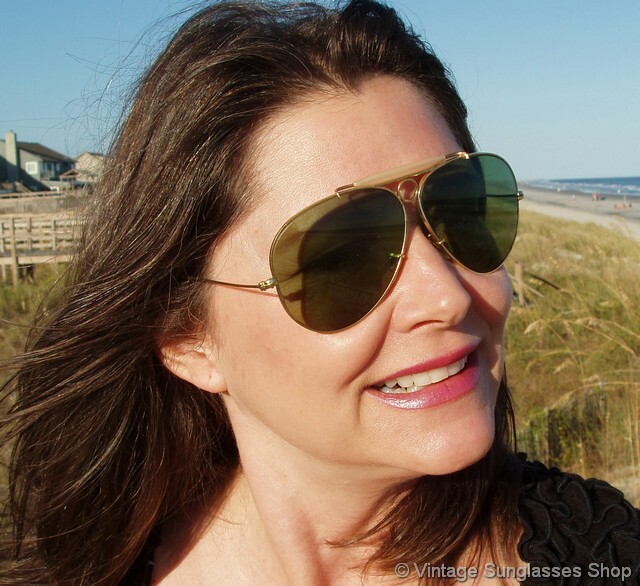 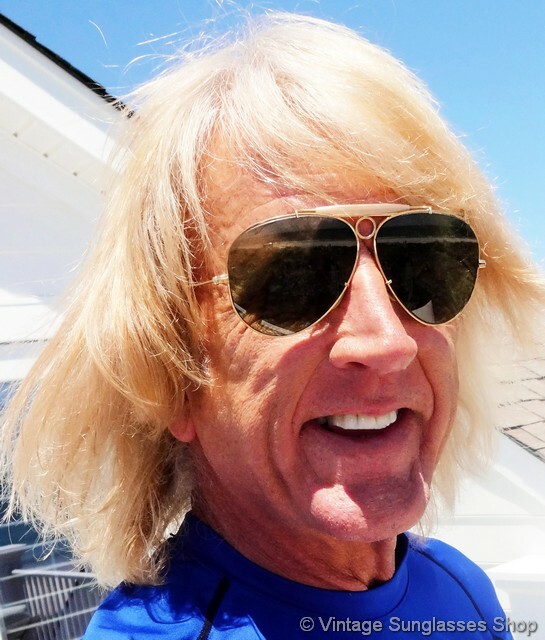 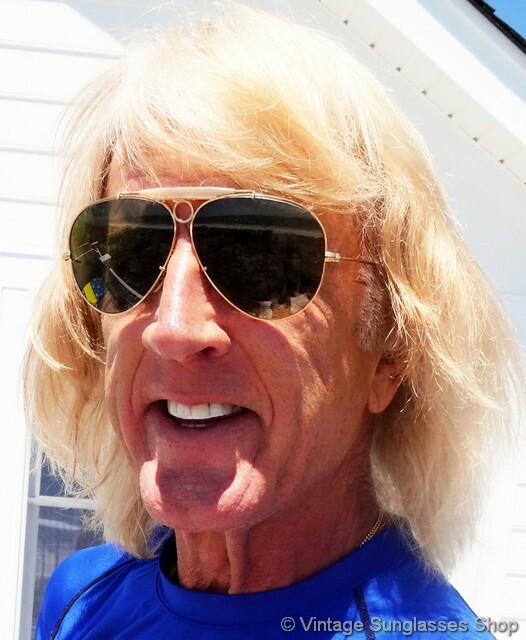 Bausch & Lomb developed the bullet hole style to improve the balance and fit of sunglasses on the face, and the pearlized "General" brow bar adds further to the comfort and fit of the sunglasses and keeps them from sticking to your face when you're hot and sweaty. 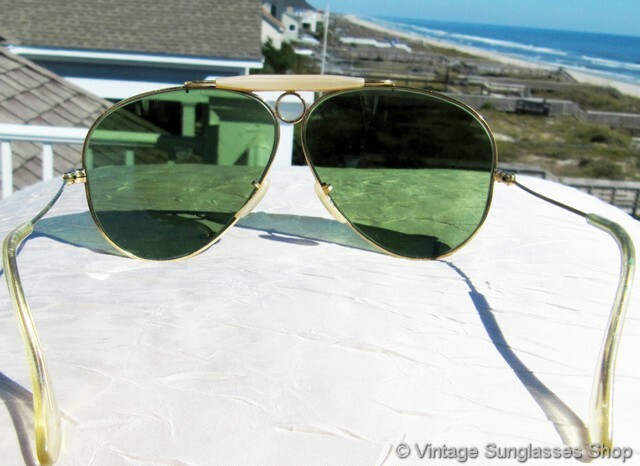 The Bausch & Lomb RB-3 Tru Green lenses look great with the gold plated bullet hole frame and measure approximately 2.375" x 2.0" at the widest points with each lens laser etched BL near the top center. 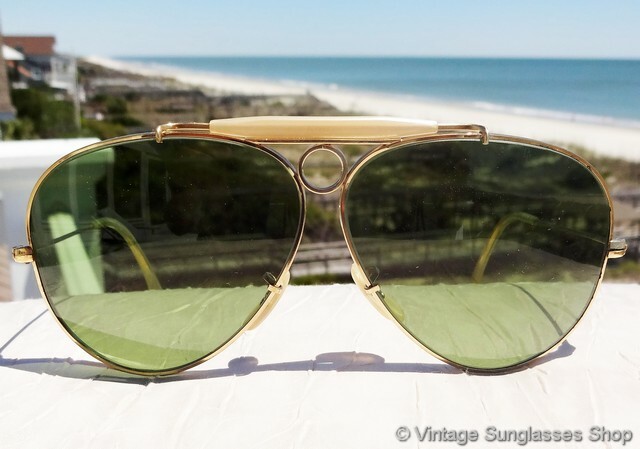 The unisex 62mm bullet hole frame measures approximately 5.375" temple to temple, and the top of the nose bridge is impressed either B&L Ray-Ban USA or B&L Ray-Ban USA Lic. 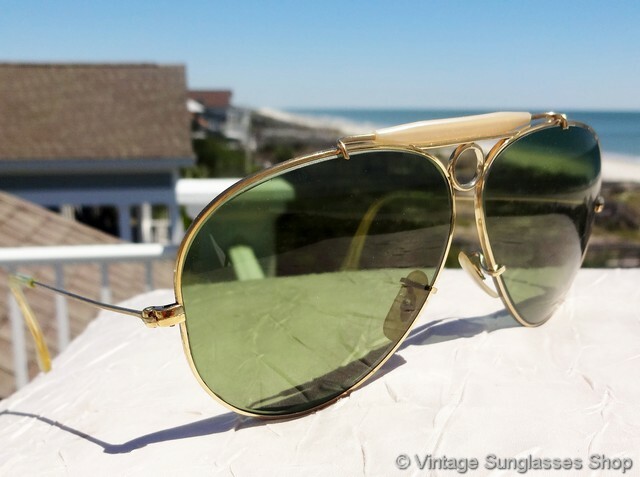 depending on whether destined for the US or the European market while the bottom of the bridge is impressed 1/30 10k, part of a London, England collection of fine vintage Ray-Bans from the 1960s and 1970s.